A lone rider gallops across rolling hills of prairie grass and sagebrush. The sound of approaching hoofbeats is heard from afar. Another rider and horse awaits in the shade of a tree. The incoming rider reins in and greetings are exchanged. Dismounting, the incoming courier lifts a leather mochila from the saddle. It is placed on the new horse and the fresh rider steps into the stirrup, swings into the saddle and begins a ride over the horizon and back into history. 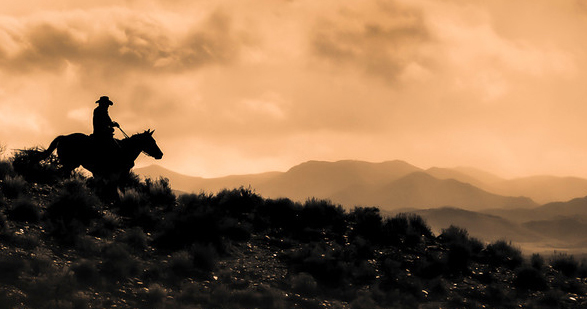 Pony Express Photograph provided by Faith Photography of Nevada. 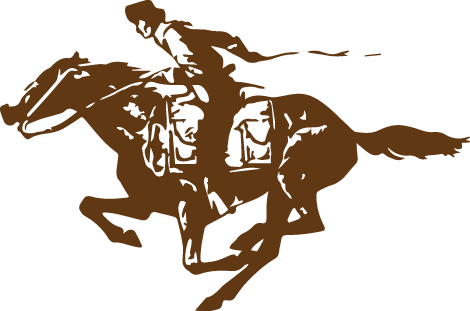 Each June, members of the NPEA recreate the Pony Express in a Commemorative Re-Ride over a 10 day period. Letters are carried in a mochila over the original trail. The 1,966 mile, eight state event is conducted 24 hours a day until the mail is delivered to its destination. 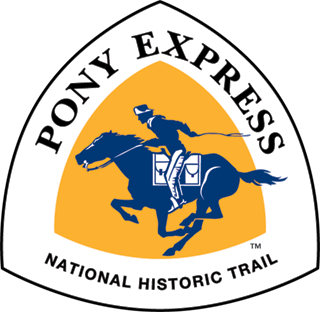 This national event is an opportunity for all young and old to ride the Pony Trail and to send a letter via the Pony Express! Over 750 riders participate and around 1,000 letters are mailed each year. Riders come from all walks of life, but are all members of NPEA. We invite you to join us in this exciting event!